Handmade Christmas ornaments are one of my favorite traditions. Sure the store made ones can be really pretty and you can color coordinate your tree every year. But there’s something special about unpacking years worth of ornaments and remembering all the stories. This macaroni stocking was made by you when you were just 5 years old! This weird glass guitar was your fathers from before we were married. This crocheted Santa that looks like Joseph Stalin is from your aunt. 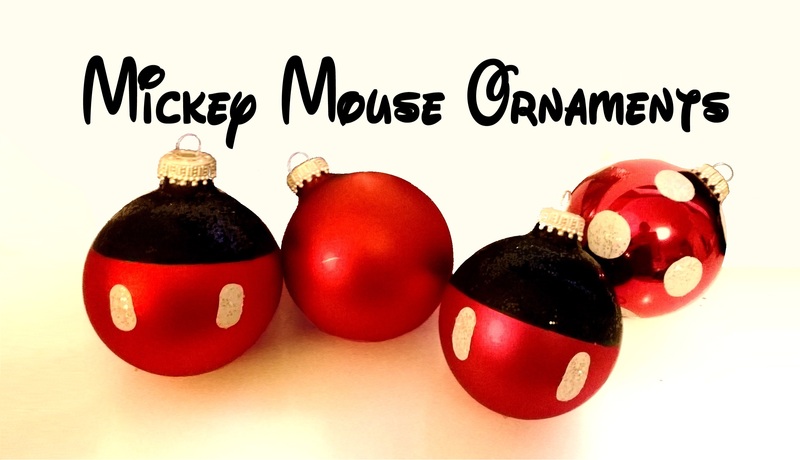 So inspired by the many Disney DIY crafts like these Minnie and Mickey ornaments I wanted to give it my own spin. 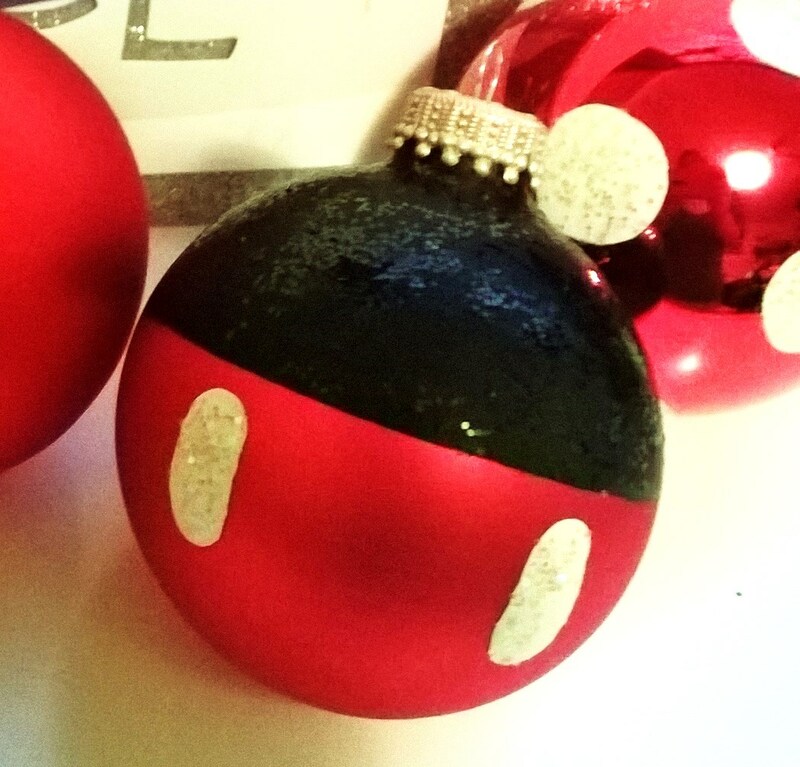 These ornaments are going to my mom (we lost years worth of ornaments during Hurricane Sandy) and to my SigOther’s family to celebrate our upcoming Disney World trip. First use a rubber band around the ornament to draw a horizontal straight line. Then fill in the top half with the black marker or paint (marker works best when you have a really thick sharpie or a matte finish bulb). After that dries cover in black glitter. Cover the black top in glue / mod podge and then sprinkle on the black glitter. Don’t worry about getting a full coverage because you have the black background to fall back on. Once that is totally dry, paint two white ovals for Mickey’s buttons. You can then either cover those in white glitter before the paint dries or glue the glitter on later. And you’re done! We love a project that takes five minutes but looks fantastic. It is easy to finish 9 of these ornaments in a half hour – keep a few and hand out the rest to friends and family. They’ll think of you and your impressive crafting abilities every year!